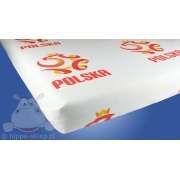 Bedding with Polish national team playing in qualifying for the European Football Championship France 2016. 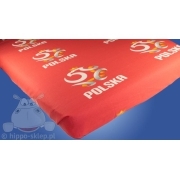 Kids bedding set with Polish national team colours and logo available in duvet cover size 55x79 “ (140x200 cm) – UK single size, 59x79 “ (150x200 cm) Euro Single IKEA size and US Twin size and 63x79 “ (160x200 cm) European Single size according to selected option and pillowcase size 28x31 “ (70x80 cm). 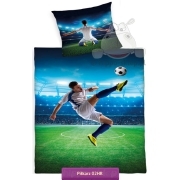 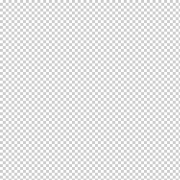 Bedding with football players made of 100% cotton, certified according to OEKO-TEX standard 100. 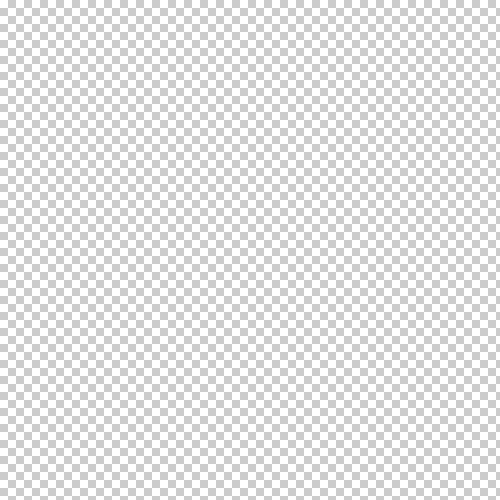 Best gift idea for any Polish football fans.